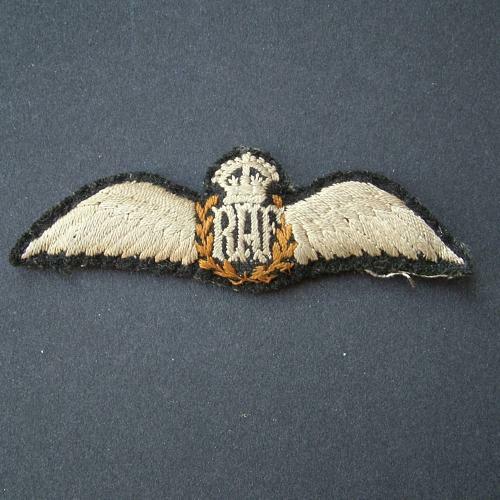 Lovely padded pilot wing in off-white coloured silky thread on black felt. Cotton backing covered with black paper. Very good used condition. Stock code M21558.